Stay protected with WinGPG, free open source encryption software created by Scand Ltd (based upon GnuPG). An easy-to-use Windows tool for files encryption, secure messaging and overall data protection driven by open-source PGP program reveals its power. Initially, the idea of protecting your personal data goes back to the beginning of the 1990s. As different types of coding came to life, some of the encryption software using those code lines started to loose its original nature: simplicity. Many free encryption tools began to reach out for complexity and sophistication. It happened just in time for us to occupy our present niche: reliable open source encryption software easy to use. That’s how half a year ago WinGPG developed by SCAND Ltd. came into existence. Our tool is a solid ‘shell’ for GPG though an open source one. It is a classic Windows tray application and has an original GPGv2 distribution (no modifications are done to the official code). WinGPG is facilitating productivity far-forth by registering shortcuts and extensions into your system using GPG (via GPGme library) with proper options. What makes WinGPG different to its closest analogs? First of all, you should realize that all allied software operates on Kleopatra certificate management system. In case you have ever heard any feedback regarding Kleopatra you’ll feel the difference working with WinGPG. We managed to provide stress-free encryption environment when you don’t have to read manuals on encryption operations or spend hours and hours of watching how other people are using it on Youtube. Do you really want to do that? We doubt it. We prioritized essential encryption functions combined in a pretty secure tool (openPGP windows) with a nice simple GUI. WinGPG can ensure secure delivery of files and messages, as well as provide verification of who created or sent the message using a process called digital signing at the click of a button. The soft we created could also be used to secure sensitive files when they’re stored in vulnerable places like mobile devices or in the cloud. Even if you are using such apps as Whatsapp, Skype, Viber, Snapchat, etc. WinGPG could provide secure messaging. 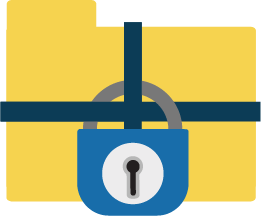 We made our Windows encryption tool simple and as user-friendly as it could be. It doesn’t occupy much space, doesn’t seek for automatic updates and tries to reconnect to unknown cloud servers. It’s a humble tool and does only what it is supposed to: encrypt, decrypt, put a signature, verify a signature. The original GPG encryption code has not been modified, so if one day you decide to take gpg.exe and try to make it work with our GUI, you’ll be delighted how quickly they hit it off with each other. WinGPG allows you to either create your binary keys by choosing from numerous algorithms and defining various other parameters, such as name, email address, comments, and passphrases. Additionally, you can set expiry dates for your keys, so that they can be no longer used after a certain period, thus ensuring your sensitive information a higher level of data protection. However, the communication requires participation by both the sender and recipient and you will be surprised how intuitive its interface is, a classic Windows’98 one. It has clipboard support, WinNT Explorer support, global accelerator and global shortcuts working from the active explorer window, clipboard and context menus. WinGPG is free to download because we believe in free encryption software and online protection. Click on the button, get our manageable and reliable tool. Have any questions, ideas or simply want to give us feedback on WinGPG? Send us an email to wingpg@scand.com or click here.